I have been reading my poems outside, now that it's sunny again, and trying not to be too nervous. Sunshine aids with that, but on the night of the event I will be indoors and trembling. But all shall be well! There will be much love in the place, including friends, family wamily, and encouraging strangers. 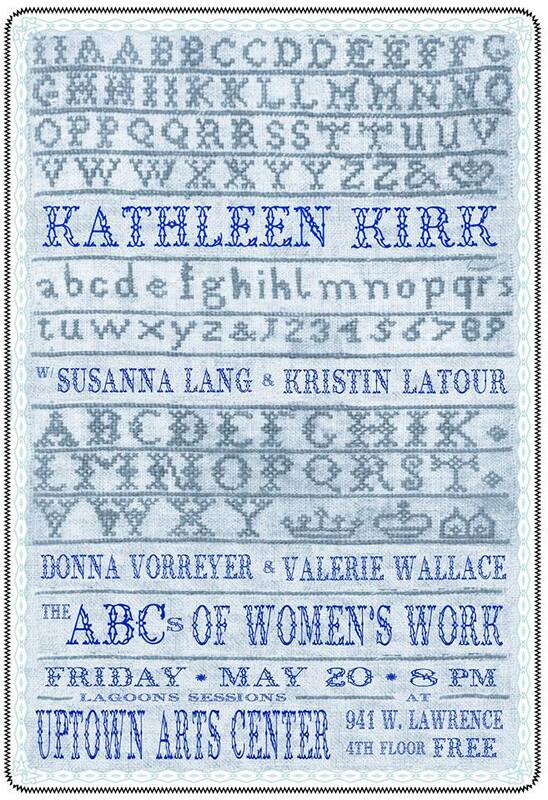 Come hear Susanna Lang, Kristin LaTour, Donna Vorreyer, Valerie Wallace, and me! 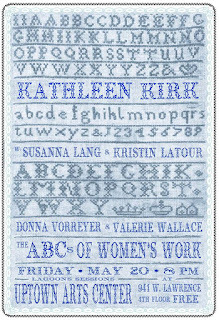 I'll be reading from my new chapbook, ABCs of Women's Work (Red Bird, 2015), and this poster comes from the cover of that! Both of these great posters are by Paul Ryan, who runs the Lagoons Sessions reading series and Lagoons Editions, a small press. Our paths crossed years ago in a small writing group in Chicago, and I am glad they have crossed again! Random coincidence: cross stitching! I also plan to read a couple poems from two previous chapbooks, choosing poems with "women's work" in them and honoring the work of the women who run those small presses: Kristy Bowen of Dancing Girl Press and Margaret Bashaar of Hyacinth Girl Press. You go, girls! 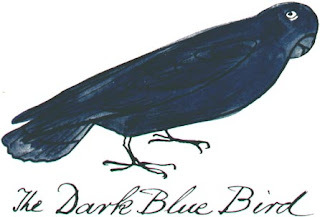 This morning I saw the bluebird of happiness in my own backyard! Actually, three of them. 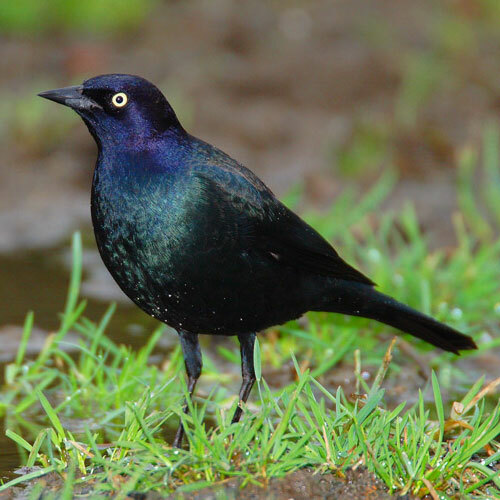 Actually, they might have been the Brewer's blackbird, as seen here. They were small, dark blue, shiny, and feeding along the ground. Two were at either end of a shared dandelion stem, like Lady and the Tramp in Lady and the Tramp, having spaghetti. Then the third arrived, and, just as I got my husband to join me at the window, they flew away. Sometimes, that's life. Or perhaps it was this guy. By Edward Lear.